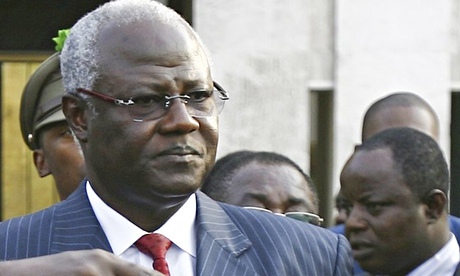 HomeNews in PerspectiveIs president Koroma seeking a military style solution to the Ebola war? Having thrown everything at Ebola – including the kitchen sink, president Koroma was yesterday described by pro-government media as “looking very tired and losing his pop idol looks”. But a real commander in chief is never ruffled by the enemy, let alone worried about piling up the wrinkles and grey hair, under the strain of leadership. The president may be down on the canvass, but he doesn’t seem ready to throw in the towel just yet, in total submission. He is believed to be contemplating military style tactics and precision, in delivering his killer blow on Ebola. Will it work? Sources close to the president say that a new strategic role of the military in maintaining law and order, as well as in enforcing the current state of emergency and all presidential decrees will soon come into effect. 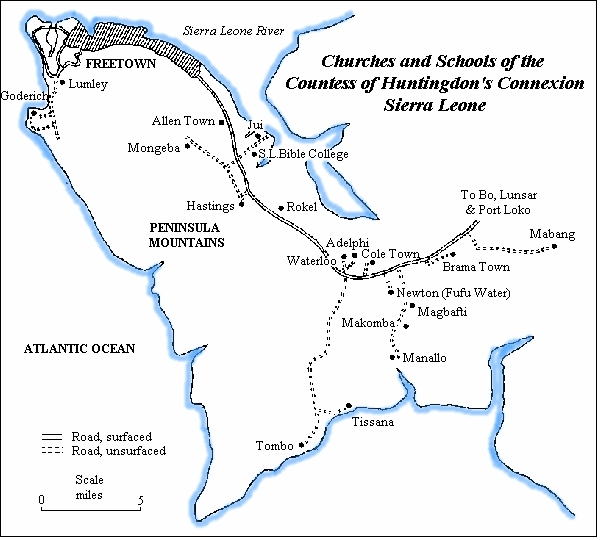 A proposal put forward early this month by the Sierra Leone Telegraph, for Freetown to be divided into manageable Zones is being adopted. According to State House Communications Unit, “Victoria Parkinson – coordinator of the Ebola Burial Command Centre at the British Council Hall in Freetown, informed the president that Freetown is being divided into five zones. She explained that every call appears on a computer screen and the information will be disseminated to the various zones. Last Monday, president Koroma visited the Ebola Burial Command Centre – set up by the British at the British Council Hall in Freetown. The command centre has been established for the overall coordination of the burial teams and to ensure dignified burials as part of its operations. Victoria Parkinson explained that the new central computerised system will help to identify Ebola hotspots, as well as manage the quarantining process. It will also make the task of identifying homes that need disinfectant much easier. The new centre will ensure the effective and robust collection of corpses and dignified burials observed by families of the dead. 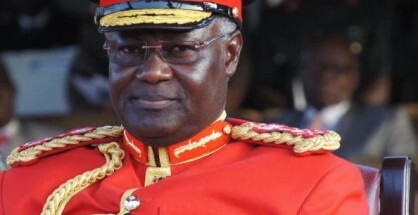 President Koroma – commander in chief of the country’s army, has asked for this Zonal operations approach “to be cascaded to other districts across the country, so as to have an effective coordination of the entire process” of managing the crisis. The Ebola contact person for the Department for International Development (DFID) Mr. Donald Brown, said that the Coordination Centre at the British Council, will soon include cases and bed management. “With your next visit, you will see both a case management and bed management coordination teams in this room,” he told the president. President Koroma was also informed about a referral centre that has been opened by the British in Cline Town to assist with coordination of the new Ebola crisis management strategy in Freetown. British Secretary for International Development – Justine Greening who arrived in Sierra Leone alongside 100 British medical soldiers, last week visited President Koroma at State House. The minister informed Koroma of the tremendous efforts being made by the British government to help tackle the virus, as well as progress in completing the construction of the treatment centre at Kerry Town, with an additional 500 Ebola treatment beds being deployed across Sierra Leone. The ministry of health and sanitation ‘Situation Report on Ebola’ continues to show growing number of deaths across most districts in the country. The total cumulative number of people that died of the Ebola virus in Sierra Leone, between 23 May and 25th October 2014 was 1037. With the exception of Bonthe, Kambia and Kono districts, every district has recorded an increase in the number of deaths in the last one week, which must come as a shock to health agencies fighting to contain the virus. In Kailahun the number of deaths had risen to 223 – an increase of four in the last 7 days, after much hope last week, of the virus being kept at bay; Kenema 249 – an increase of three in the last 7 days, compared to the increase of eight seen two weeks ago; Kono 18 – no increase in two weeks; Kambia 9 – no increase in two weeks. But it is Koinadugu that has brought the greatest shock, with all 7 of those infected having died of the virus in the last seven days; Bombali 137 – up ten since the 18th of October, after an increase of 4 on the 13th October; Tonkolili 45 – up eight, after an increase of four almost two weeks ago. Port Loko 74 – an increase of eight, compared to the increase of nine witnessed almost two weeks ago; Pujehun 14 – up two, after recording no increase 12 days ago; Bo 59 – a rise of just two, after an increase of four twelve days ago; Moyamba 33 – up two, after reaching 31 a week ago; Bonthe 1 – no increase since it first case several months ago. (Photo: Courtesy of Sheriff Ishmael). Freetown continues to record exponential rise in the number of deaths, with 168 cumulative confirmed deaths, an increase of 18 in one week. But there are reports of continuing under-reporting of the rates of infection and number of deaths in the capital. 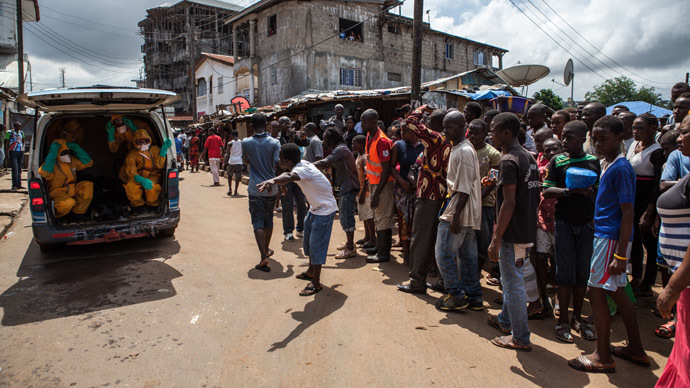 According to the Awareness Times in Freetown, hundreds have been buried in Freetown in the last week alone, prompting accusations of a massive cover up in the country’s capital. The number of cumulative confirmed cases recorded in Sierra Leone on the 26 October, 2014, is also rising significantly, with a total of 3,562 compared to 3,225 six days ago – an increase of 337. The total cumulative number of probable and suspected cases now stands at 570 and rising. 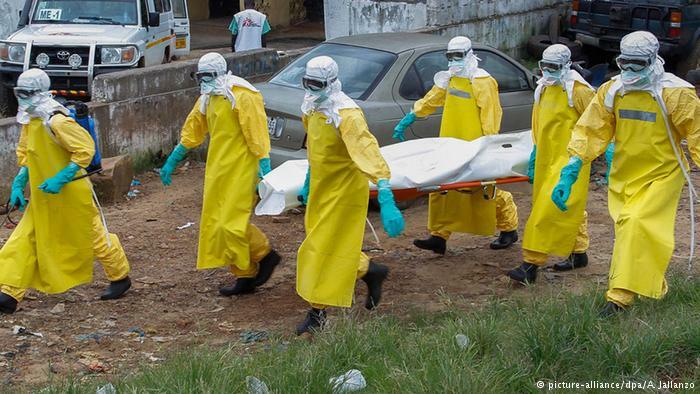 Once again as expected, Ebola is running out of control in the capital Freetown, and there doesn’t seem to be any coherent plan in place to contain the virus, other than the provision of more beds for the sick and providing comfort for the dying. The total cumulative number of cases in Freetown, reached a landmark 1,001 yesterday 26th October, 2014, an increase of 144 in the last six days, compared to the increase of 246 recorded over ten days ago. Port Loko has witnessed a sharp increase in the last six days, with the number of cumulative cases now standing at 491- an increase of 47, compared to the increase of 19 recorded just ten days ago. The opening of a treatment centre in Port Loko by president Koroma last week, is testament to the seriousness of the crisis now ravaging the district. The worrying increase of nine new cases seen in Kailahun ten days ago, appears to have slowed down, with yesterday’s total number of cumulative cases in the district standing at 551 – an increase of 6 in the last six days. 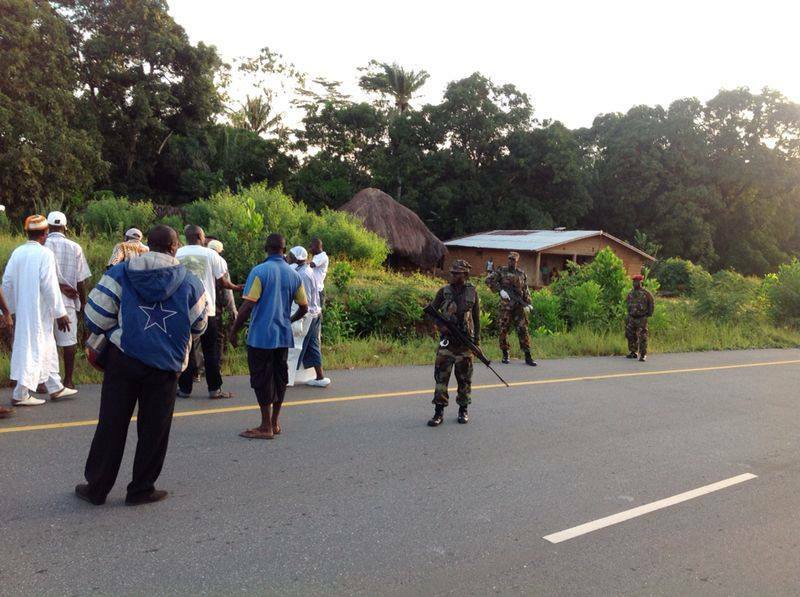 The steep rise in new cases witnessed in Kenema over two weeks ago, appeared to have slowed down. But in the last week, the cumulative number of cases has risen from 467 to 480 – an increase of 13, compared to the increase of 9 recorded over ten days ago. It is worth noting that about a month ago, the cumulative increase was just three. Is Kono still managing to keep Ebola under control, after a good spell without any new cases in almost two weeks? Yesterday – 26th October report by NERC says that the total cumulative number of cases in Kono was 38 – an increase of four in the last six days, compared to the increase of three recorded over ten days ago. Once again, the rate of infection and transmission in Bombali continues to run second to that of Freetown, with the total number of cumulative cases now standing at 497 – an increase of 56 in the last six days, compared to the cumulative increase of 39 recorded over ten days ago. Whilst Kambia was beginning to show a ray of hope ten days ago, it seems the rate of infection and transmission is once again becoming worrisome, with the cumulative cases now at 30 – an increase of 4, compared to the increase of one seen ten days ago. After last week’s shock of recording its first ever cases of Ebola, Koinadugu has shown perhaps that due to poor monitoring of Ebola in the district, several deaths caused by the virus had previously gone unreported. But now the chickens have come to roost – Ebola dead can no longer be hidden. The total number of cumulative cases in Koinadugu district yesterday, 26th October was 9, compared to the two reported last week. The rate of infection and transmission in Tonkolili district was looking fairly steady two weeks ago. But with the publication of yesterday’s figures, there is cause for concern. The total number of cumulative cases now standing at 180 – an increase of 30 in six days, compared to the increase of 12 recorded over ten days ago. The significant rise in the rate of infection and transmission seen in Bo two weeks ago, appears to have tapered off in the last six days, with the cumulative total number of cases now standing at 167 – an increase of 14 compared to the increase of 16 witnessed about ten days ago. Bonthe’s resilience continues to be tested after several months of showing it can shut out Ebola from its Island. Yesterday’s Ebola update – 26 October, shows that the total cumulative number of cases remains at just two. The total number of cumulative cases in Moyamba now stands at 90 – an increase of 5 in the last six days, compared to the cumulative increase of 8 recorded over ten days ago. Pujehun is perhaps beginning to witness a slow rise in infection or transmission. After almost three weeks of weathering the Ebola storm, the total cumulative number of cases in Pujehun is now standing at 26 – another increase of one in the last six days. The number of new confirmed cases recorded yesterday, 26th October, once again continues to show a very mixed – though depressing picture of Ebola refusing to go away, with Freetown the capital city and Bombali recording very worrying high numbers of cumulative cases. Of the 70 confirmed new cases recorded across the country on the 26th October – compared to 69 recorded on the 20th October, over 60% were in Freetown, compared to the almost 75% found in the capital six days ago. Earlier on today, there were unconfirmed reports of 13 dead in Kumala village in the Nieni chiefdom, Koinadugu district. If this is true, then Sierra Leone is in much bigger trouble than anyone had previously imagined. The proposed Zonal approach to managing the Ebola crisis must be rolled out across all districts immediately. The country’s military, coordinated and supported by the hundreds of British troops arriving in Sierra Leone, should be responsible for security and maintaining law and order in each Zone, while health professionals get on with the task of containing the virus.